WEGOGO is a Social Discovery Platform for Asian travelers to connect directly with local hosts who offer the world’s most aspirational travel experiences – island getaways, adventure pursuits, eco-tourism and authentic local activities. In its next phase of development, WEGOGO is launching its own WeGold Travel Token to pioneer a new decentralized to empower travel-loving people to help discover and share the long tail of travel experiences. This peer-to-peer model incentivizes our PathFinders to create a new stream of income doing what they love and scale the ‘Unscalable’ in travel. Founded in 2015 with a mission to connect the rise of Asian FITs - Free & Independent Travellers - to the long tail of the world’s most aspirational travel experiences, such as island getaways, adventure pursuits, eco-tourism, and authentic local activities. In 2016, we introduced a WeChat based Social Travel App that enabled Chinese tourists to discover and book aspirational travel experiences across its first launch region of South East Asia. As part of our initial efforts to grow our user base and determine market acceptance, we launched our first aspirational “Island Fever” campaign in 2017 with over 400 curated activities across 10 key destinations in South East Asia featuring videos, story-telling, and key online influencers social media sharing. This was followed up in 2017 with the launch of an IOS-based App, integrated with WeChat Pay, Alipay as well as popular international credit cards via Stripe. The WEGOGO App validated the demand for such travel experiences, many of these truly localized and authentic experiences by small local travel service providers were not featured on larger and more established OTAs (Online Travel Agents) such as Ctrip, Tuniu, and AliTrip. Since December 2017, we have achieved 5,000 transactions, giving us the confidence that it addresses the needs of both the target Chinese travellers and the long tail service providers – both sides of the Aspirational Travel value chain. In 2018, the “Island Fever” campaign will be expanded to cover 25 island-based destinations and over 3,000 exciting and authentic experiences. By 2020, our goal is to attain over 125 island destinations and 16,000 activities for bookings. We will continue to first serve outbound Chinese travelers – the largest Asian travel market - to grow its traction and scale, focusing on local & authentic South East Asia destinations as its core, and then leveraging that local knowledge and presence to serve South East Asian travelers – the world’s fastest online travel growth market. events in 10 island destinations. Innovative Decentralized Platform That Rewards All. Travel Aspirational Service Providers (ASPs). 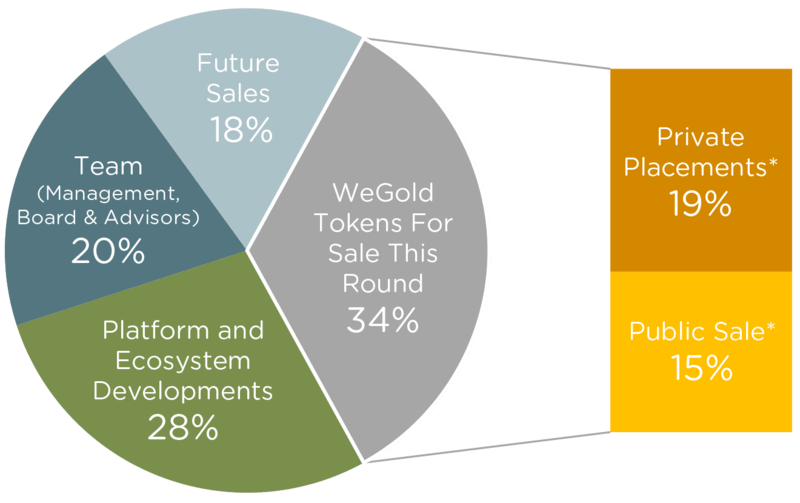 WeGold (WGD), our blockchain based Token built on the Ethereum ERC-20 Token standard, will enable the platform to realize our vision of a “Fair Share” ecosystem. It will be used to reward and incentivize all players to grow and scale the platform. 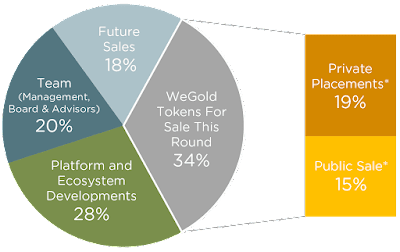 The WeGold Travel Token will fuel the growth of “Travel PathFinders” - people aspiring to earn a living through travel, exploring and connecting the world’s most aspirational travel experiences to our WEGOGO platform and earning WeGold Tokens. Beta Release of PathFinders Module. Implement blockchain incentive and reward system. Rollout of blockchain transactional system. Launch of blockchain microfinance program.